Does ChibiUsa Come From an Alternate Timeline in Sailor Moon? ChibiUsa has always interested me not only for her character — which is certainly enough to win you over in its own right! — but also for what she represents in the series. Her very existence proves that Usagi and Mamoru’s magical romance works out, the Sailor Soldiers will ultimately win, and if your parents leave you crying in the rain, you’re justified in turning evil. Her existence may not actually prove any of those things. How’s that? Well, dear reader, I’m glad you asked! Today we’re going to be exploring the possibility that the ChibiUsa we know and love may not be one, but several different ChibiUsas coming from several different timelines. I hope you have a pen and paper handy, because things are gonna get a complicated! Why Were There Two Sailor Chibi Moons in the SeraMyu Musicals? The rabbits just keep multiplying! And by “two Sailor ChibiMoons,” of course I mean “two actresses playing the role of a single Sailor ChibiMoon, because having two Sailor ChibiMoons in the same musical would be ridiculous.” But since writing a good, concise title is such a challenge, I suppose we’ll have to deal with a little ambiguity. Title issues aside, this is actually a question that’s been bothering me for quite some time now. While the young actresses taking on the role of ChibiUsa were generally pretty young, they were never quite young enough that it would have been a Full House-style situation and that the actresses simply weren’t able to remember all of their lines, right? Figuring that there has to be something much deeper going on here, I finally decided that it was about time to dive head first into this mystery to solve the riddle of the dual rabbits. I hope you join along, because this is bound to make for an interesting ride! Why Does Ami Think Vampires Like to Eat Flowers? In the spirit of the season – and for all of you reading this in the future, that means Halloween – I desperately wanted to find some sort of story or mystery relating to Sailor Moon that I could talk about, but unfortunately I didn’t have much luck. There just isn’t a lot of scary things that happen in the show, unless you’re talking about Mamoru’s fashion sense or Taiki’s obnoxiously large forehead. So I took to social media for suggestions and, as expected, I got a lot of great suggestions that never even crossed my mind. You people rock. 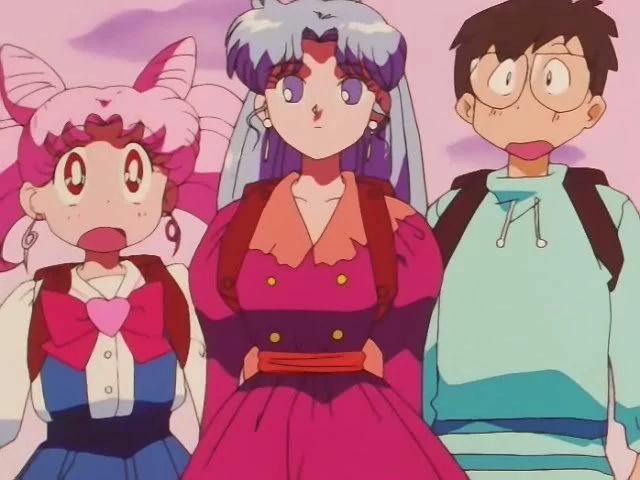 Today, we’ll be talking about about the story of the vampire who once graced the pages of Sailor Moon, and Ami’s seemingly bizarre leap in logic in how she determined this young girl was a blood-sucking demon of the night. What Was it Like to Record Audio for the Sailor Moon S Movie? 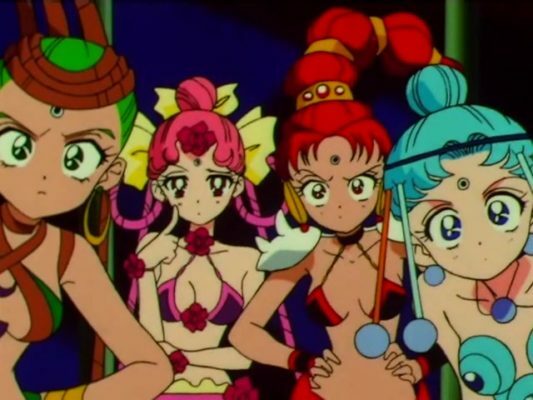 Whether it’s due to really restrictive NDAs signed by everyone involved, a stronger sense of respect for one’s prior workplace, or a power-hungry industry that will shut out anyone who opens their mouths from finding new work, it’s pretty uncommon to find tell-all accounts of what it was like working behind the scenes of Sailor Moon, or even any anime really. 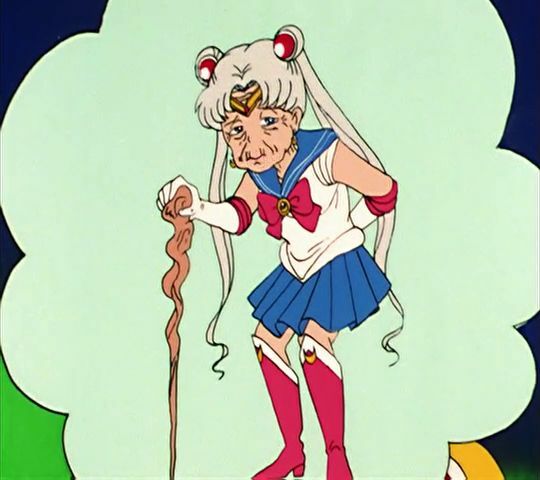 Today, Usagi turns… 41 years old?? That’s right, dear readers! According to the original story as told in the Sailor Moon manga and anime, Usagi would be turning 41 on June 30, 2018.1 Hard to believe that our favorite sailor-suited soldier of love and justice would now be entering her fourth decade of life, isn’t it? While we may know her as a young and energetic junior high school student, she would now have been out of school longer than she ever spent in school. In honor of the two birthday girls, I’ve selected five articles each about Usagi and ChibiUsa that may be of interest to you. Articles are in no particular order. Is Usagi Much Smarter Than the Series Implies? Is Usagi Really Just an Average Girl? Does Naru Know That Usagi Is Sailor Moon? Would it be Legal for Mamoru and Usagi to Date? Why Do Usagi and ChibiUsa Have the Same Birthday? What is the Story Behind ChibiUsa / Small Lady’s Name? Why Was ChibiUsa Sad About Returning to the Future? Why Did ChibiUsa Call Sailor Moon Everyone’s Mother? If you have any questions or suggestions for future articles, I’d love to hear from you! This is yet another one of those odd questions that at first glance sounds completely obvious, but makes a lot less sense when you stop and actually start to think about it. 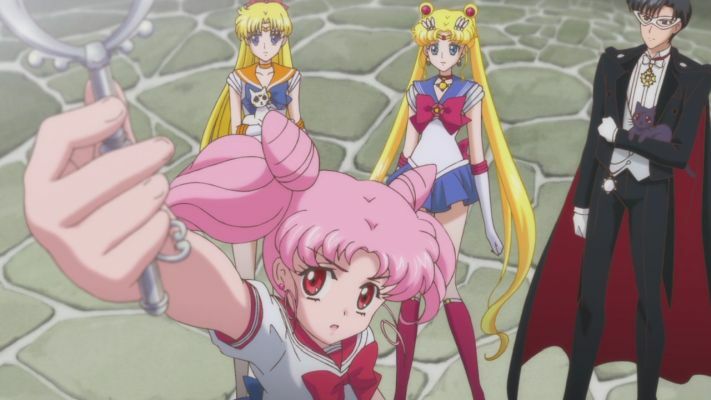 I mean, of course ChibiUsa is sad to leave Usagi, Mamoru, and the Sailor Team to go back to the future. After all, she has to go all the way back to the future to be with… Usagi, Mamoru, and the Sailor Team? This is unfortunately one of those situations where there is no proper answer to the question, but it’s at least worth taking a look at it in a little further detail!